Had a really nice time a couple weeks ago hosting Spencer Keepers for his Advanced AIWB Skills class. 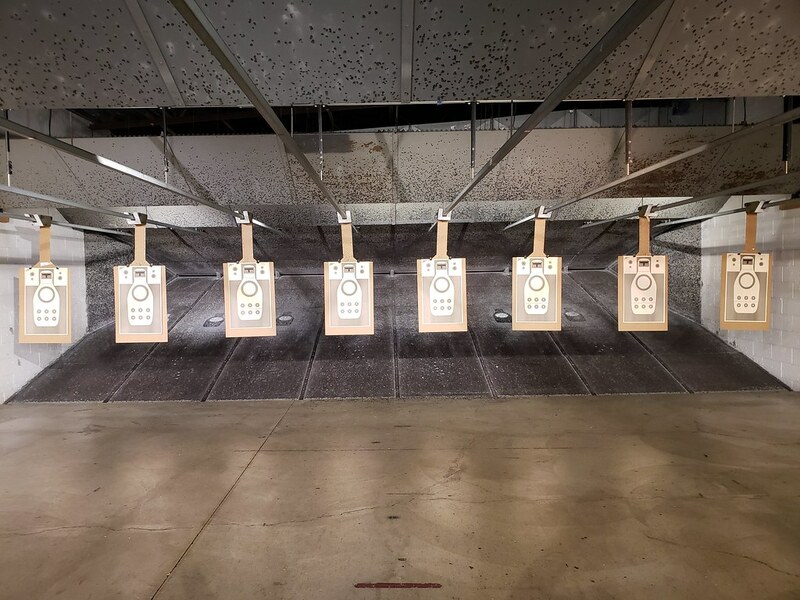 The class started with a detailed, half-day classroom presentation on the overall practice of AIWB carry, many of the AIWB holsters available and popular today, safety aspects of AIWB, draw technique, and a safety briefing for the range. 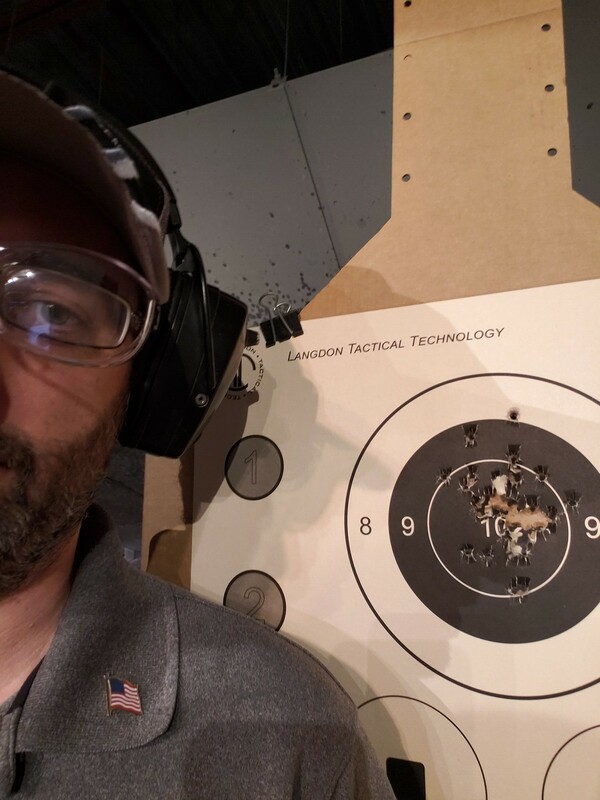 The rest of the class was on the range, and was a mix of performance shooting on Langdon Tactical Technology and Pistol Training.com targets, as well as a few IDPA and B8 bullseyes, along with a tour of AIWB-specific material, including draws, stealthy draws, seated draws, and drawing from within a vehicle (fun, we got to use our chopped car!) We also did a little shooting on the move, single handed shooting, and strong and support hand only draws and reloads. It was a great overall presentation of working from AIWB and shooting. Props to Spencer for laying it on the line to shoot the demos. Not everyone does that. 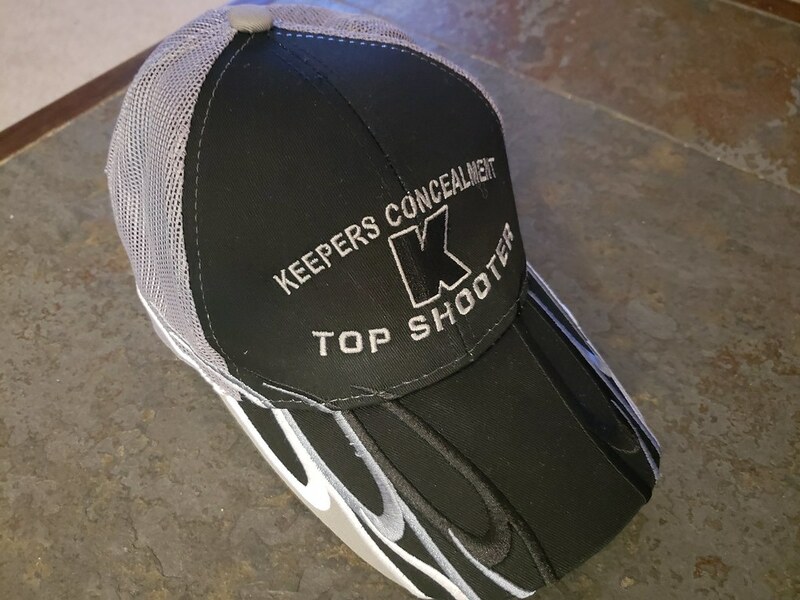 Several performance-oriented tests and drills were shot in class, some for the Keepers Concealment Top Shooter Hat, and others just for bragging rights. Draw and shoot 3 to the 3x5, the Langdon 9-shot Close Speed Drill, and the Keepers 3-2-1 Drill were used to award the Top Shooter Hats. My buddy Nick won the hat for the 3x5, I won the hat for the Close Speed Drill, and my buddy Matt won the hat for the 3-2-1. 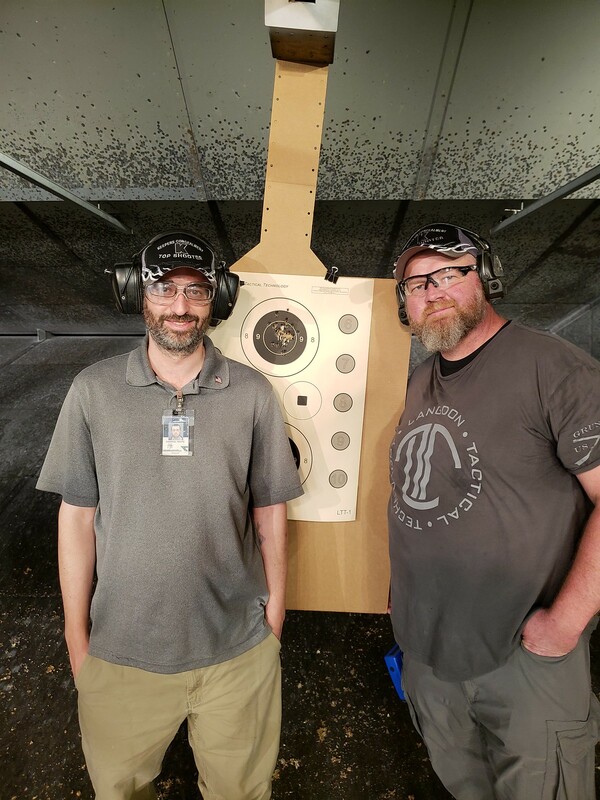 Hat tip to my friend and coworker Jason, who although he didn't shoot as well on the Close Speed Drill on the run that counted for score, he destroyed everyone on it in a subsequent run – 2.61 seconds clean. Awesome dude! The performance drills that didn't carry a specific award included the Hackathorn Head Shot Standards and HiTS Super Test (Advanced or regular at the shooter's option.) I fumbled one draw and went over two seconds on that run, but was otherwise able to hit sub-2 second runs from concealment on the Hackathorn Head Shot Standards. Probably my high point of performance was shooting a 297 on the Advanced Super Test under class testing conditions. I'll take it! Many thanks to Spencer for coming out to train with us! And thanks for being willing to work with a class full of Glocks! Last edited by Mr_White; 09-13-2018 at 11:03 AM. Nice review. Nice shooting. It is good to see some of the best still learning and from each other no less.